The same technology that protects the International Space Station from extreme temperatures can cut your home heating and cooling costs by as much as 30%. Radiaflect™ from Gorell is a remarkable new reflective insulation that stops 97% of radiant heat transfer, the principal cause of wasted energy in your home. Radiaflect features a closed-cell foam core with high purity aluminum fused to both surfaces via a patented process. 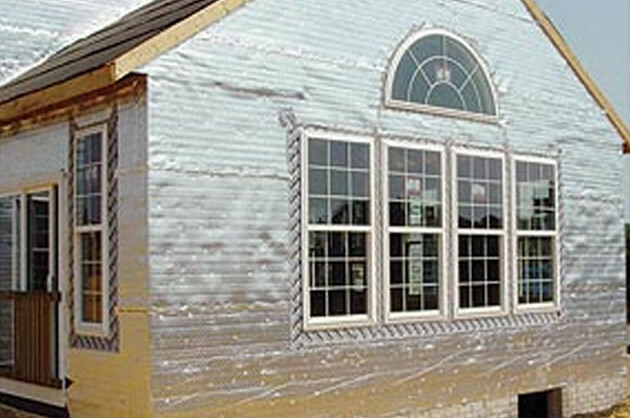 It achieves excellent R-values like ordinary insulation and stops radiant heat transfer like the best radiant barrier. It puts money back into your pocket like no other home improvement. Plus, it’s the only reflective insulation that has passed the ASTM fire safety tests required by building codes for use in attics.